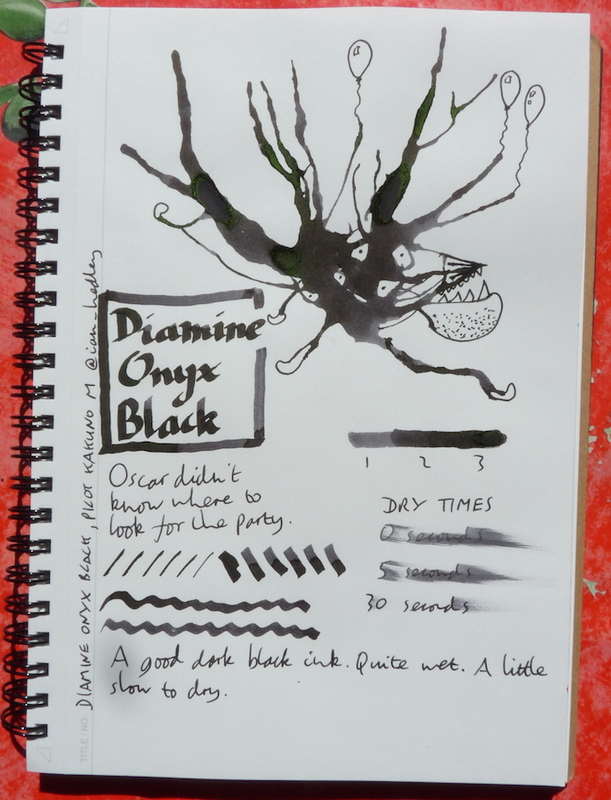 Diamine Onyx Black Ink Review – Pens! Paper! Pencils! Diamine Onyx Black is a good dark black ink. 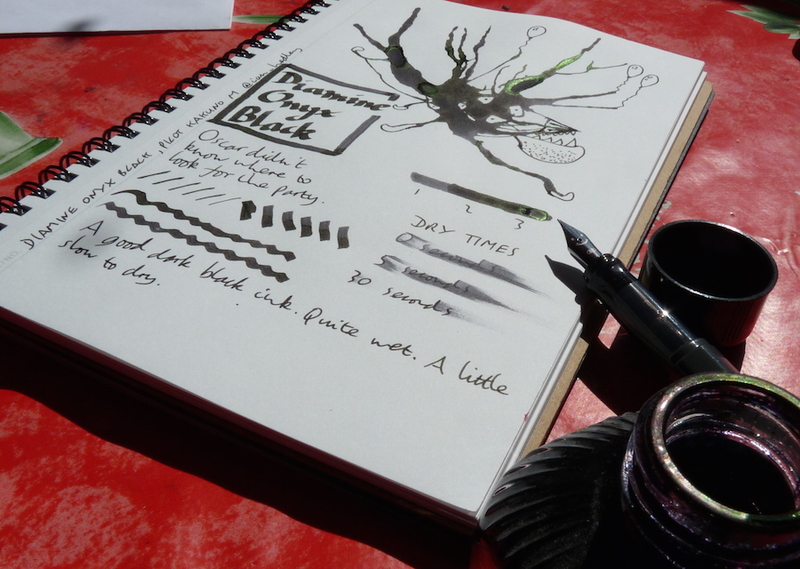 It’s the darkest of Diamine’s blacks and is quite a neutral colour, just as a real black should be. It’s a good wet ink but quite slow to dry. There’s some interesting sheen when the ink pools but that isn’t noticeable under normal usage.